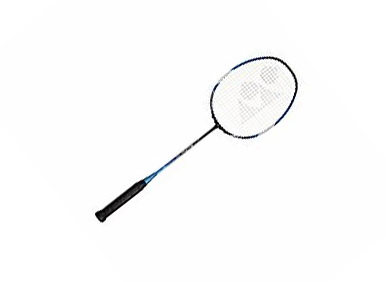 Best badminton rackets (shuttle bat) for beginners and intermediate players. 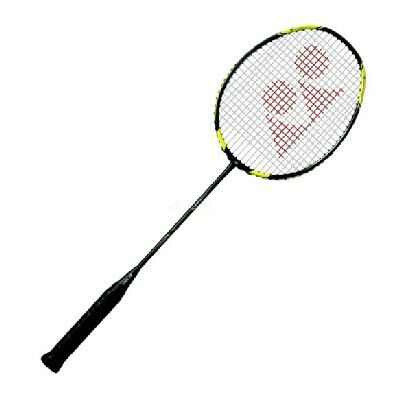 Things to Know before buying a badminton racket – when choosing a badminton racket you need to know & consider few technical aspects of the racket (But not applicable to very beginners). It will be good to know whether the one you choose, is best for your long term use. Also be careful with fake rackets . Badminton bats differ in their balance, flexibility, Price, weight, Shape, Brand, Material, Grip etc and more. For example if you are a attacking player, head heavy rackets might work best for you, but still many other factors play a role too. Since, there are many different types of rackets, only after playing with few different models, you will realise which model is the best one for you. These factors would affect your playing to some extent. Here is the detailed article about things you should know before choosing a badminton racket. 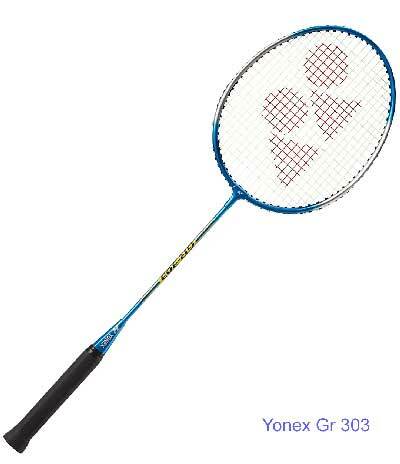 Ever wondered what does what does U, G and x lb to y lb in badminton racket name represents in Yonex rackets?. U denotes weight of the racket . Racket with a small value of “U” has more weight than one with high value. ie “3U is heavier than 4U” . G represents grip size or handle size of badminton racket. Small value of G indicates larger handle size. Values from xlb to ylb is used to indicate badminton tension. Other popular brand Li-Ning uses different code names for their rackets – They use ‘S1,S2 etc’ to represent grip size and ‘W1,W2 etc’ to represent weight of rackets. Similarly, other brands might have their own naming procedures for their badminton rackets. 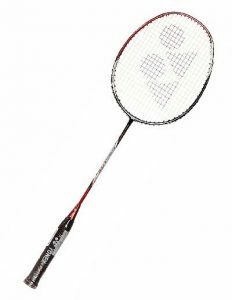 There is no doubt that Yonex in the market leader of Badminton rackets in price range of 300 to 5000. Here you can read about all different series of Badminton Rackets from Yonex. Other famous brands like Ashaway, Li-ning and Indian brands like Cosco, Nivia etc also have strong presence in India. Yonex – Founded by Minoru Yoneyama in 1946. 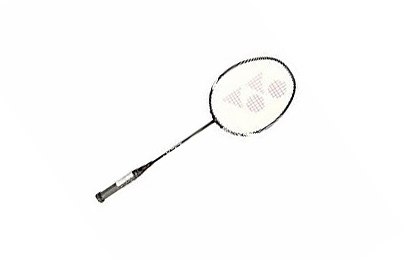 Best quality rackets from the Yonex, the leading badminton brand, are made in Japan itself. These rackets are used by top players around the world. They have manufacturing units in Taiwan and China and now in Bengaluru, India. Rackets are designed in Japan and these designs are sent to manufacturing units. Li-ning – A Chinese company founded by Li Ning (Olympic gymnast), they are in partnership with french company Aigle. Main products are athletic shoes and sporting goods. Since this is a china based company, racketes are both designed & manufactured in china. Silvers – Indian sports company based on Punjab. Established in 1965 they offer products like Badminton Rackets, Tennis Rackets, Squash Rackets and Shuttlecocks. Cosco – Cosco is an Indian sports equipment manufacturer based in Delhi. Ashaway – Founded in 1824 Ashaway is famouse for manufacturing badminton rackets, strings etc. Nivia – Another Indian sports company with wide range of sport goods. They are based on Jalandhar Punjab, and offers wide range of sports products. 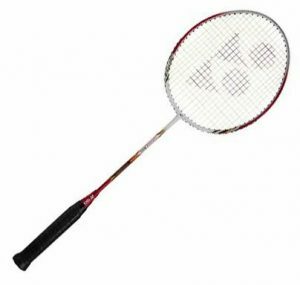 Following are the best selling badminton rackets (racquets) in India. Rackets are chosen from different price range, ie from 350 to 5000 rupees. Professional players can consider racquets above rs 2000 after consulting with coach. Available at an affordable price range of below 550, this is an ideal & best racket for beginners and intermediate level players. 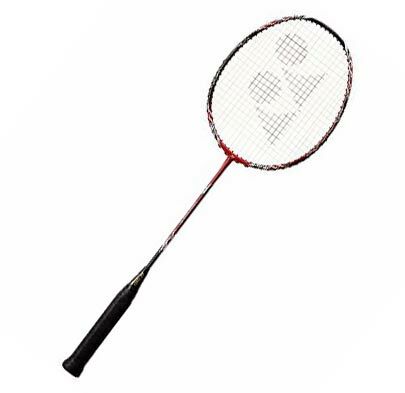 But if you want to buy badminton racket as a ‘pair’ or ‘ a badminton racket set‘ for your children then , checkout these options – > List of best badminton racket set’s for children(standard size) or rackets for junior players (small size rackets). Here is a detailed review of Gr 303. Available Colors – Red, blue, red/black, red/white, silver, yellow, yellow/white. Frame material – Aluminium frame. Isometric shaped head that provides a larger sweet-spot thus increasing accuracy even on off-centre hits. 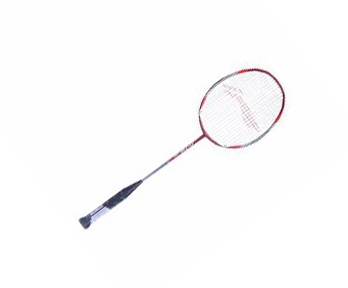 The racket has an aluminium frame, a steel shaft and a stiff flex. For detailed list of good options of badminton racket for children please check junior rackets. Frame material – Aluminium, shaft material is Steel. Please note that this also is a racket for junior players. One of the best bats under Rs 2000. This bat is available in two colours, red and golden. This bat comes with a protective cover for badminton like this. 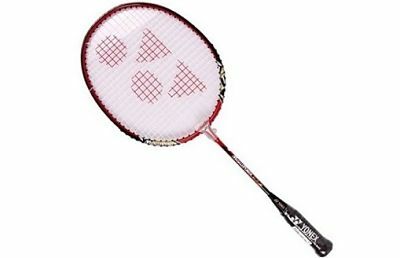 If you are interested in rackets in this price range read Yonex muscle power 29 vs Carbonex 8000 Comparison. 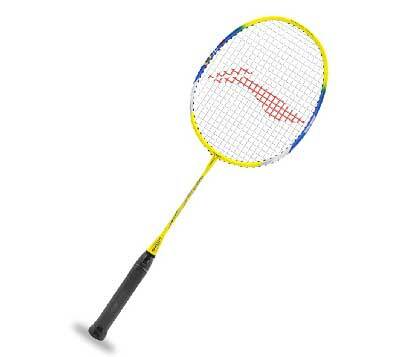 It is a comparison of two best badminton rackets in this price range. Available Colours – Read, gold. Arcsaber series is all about control, If you want precise control of shuttlecock, then go with this series. You can get other features in this racket by choosing different string tension / by trying different models available in this series. Height – 27 inch/ 69 centimetre. Frame material – is Graphite, tungsten. Shaft material is Graphite.